Through a press release, Viz Media announced the publication of a new manga, Platinum End. 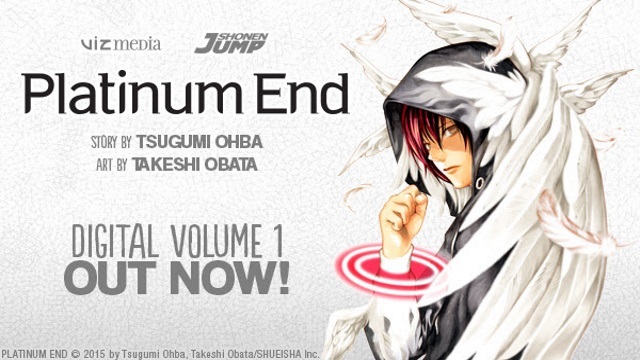 Created by the frequent duo, Tsugumi Ohba and Takeshi Obata, Platinum End appears to be a mix of Death Note and Future Diary. Though volume one is only available digitally at the moment, the physical version is expected to release October 4th. On a side note, Viz is currently having a digital flash sale for Dragon Ball and Dragon Ball Z manga, so partake while you can!